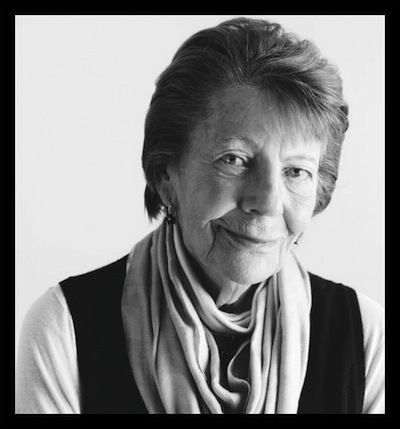 Mary established Fox Linton Associates in the early 1970s to work solely on interior architectural projects, having undertaken large private residences both in the UK and abroad in partnership with David Hicks, followed by department stores and the restoration of historical houses. In the 1990s, in collaboration with hotelier Gordon Campbell Gray, Mary created the award-winning design of One Aldwych in London, setting the standard for 5-star boutique hotels around the world. Her awards include a Lifetime Achievement from Architectural Digest and the Royal Oak Foundation’s Timeless Design award. She’ll join Homes & Gardens deputy editor Giles Kime at Focus/13 to discuss how her pioneering style has made her one of the most inspirational figures in her field. Here, she talks space, confidence and remembering to look up. What is your approach to design? Have as much light and space as possible. Space is luxury, but it’s also about being clever with what you have. Make that tiny fourth bedroom a walk-in wardrobe or use it to have a bigger bathroom. As soon as the UK stops selling houses by the bedroom tally and goes by the square metre like everywhere else, the better. It’s the nuttiest thing in the world! In a contemporary space, one of the worst mistakes for me is to make a house look like a furniture catalogue. Bland! The texture of old with new is lovely. When did you realise you wanted to work in design? I had toyed with the idea of being a fashion designer, but then, when I was about eight years old, I went on an errand for my mother to a 1930s house. It was a beautiful building – all white with a gentle curve and large glass windows. I decided there and then to be an architect. I never studied it but when I was widowed early in marriage with a small baby I needed to earn money, so off I went to earn it. What are your favourite memories of the start of your career? The people. I was fortunate to work with Lord and Lady Caccia. They had travelled the world and Lady Caccia was very artistic and had a great sense of humour. Everyone working on the restoration of their home would get very excited about discovering hidden treasures. It taught me to enjoy the collaboration. How has the design world changed? Speed. Before, you would finish your designs and off they’d go by DHL and you’d sit back and think, ‘I won’t hear from the client for at least five days’. Now you can have a response in five seconds. It has transformed the creative process; it’s wonderful. It was nice to have the time to reflect, but you couldn’t get on. The industry is also changed from the client’s point of view. I had a shop on the Fulham Road in the 1980s, stocked with designers like Philippe Starck, Pascal Mourgue and Christian Liaigre. I had very few English clients, as the prevailing attitude was that contemporary furniture lost its value as soon as you bought it. How wrong that was! Young people were furnishing their flats and houses in a pine version of their childhood homes. The change in thinking was partly down to the City of London stopping just hiring straight from English universities or Eton College and the Provost’s Lodge. It became global and this new wave of people certainly didn’t want their homes decorated in pine. In what ways is it the same? Nothing is the same. With determined, ambitious talented people working in design it will always evolve. As humans we haven’t changed, though – we still have a habit of never properly looking at what we have. I look at a table a client has had for 35 years and say, ‘if you could buy a new table today, would it be that one?’ The answer might be no, but they inherited it. A table should never make you feel guilty. If you don’t like it, sell it! Who would design your perfect house? There’s only one and sadly he’s no longer with us – Lois Barragán. When I was in Mexico, I asked him to design a house in France for me and he replied, ‘certainly not! I wouldn’t dream of it. I only design in Mexico’. When I pointed out that that wasn’t true, he replied, ‘Just over the border.’ His work is very simple, easy to live with and never boring. How do you like to re-charge? I love London. There’s so much to do, so many people to see. Things are changing all the time, new buildings appear; it’s about being switched on and looking up. I’m learning all the time. What’s your secret? I enjoy my work now as much as when I started in the 1960s. 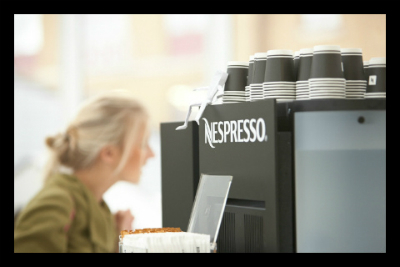 To keep your energy levels up head straight for the Nespresso bar for a coffee fix. High-tech machinery will conjure up the perfect espresso. Fully revived you can return to the show with renewed brio. A giant New & Now pinboard has been specially created for the show. 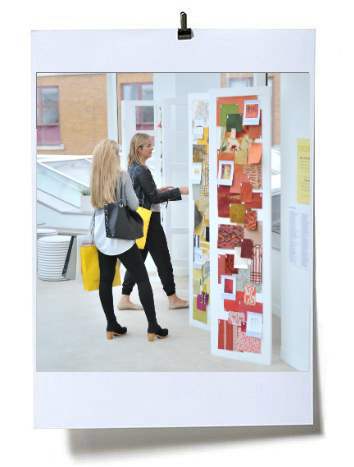 Peruse it thoroughly for the hottest patterns, colours and textures. It absolutely guarantees to keep you one step ahead.